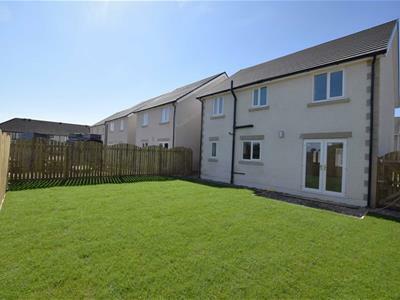 A superb development of 3 and 4 bed Detached and Semi Detached Houses in the Cemetery Hill area of Dalton. 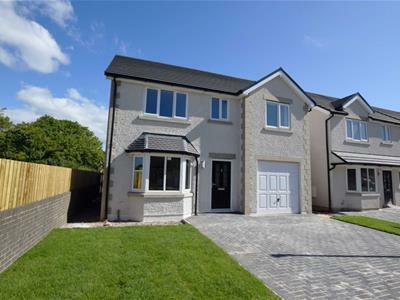 High specification kitchen with integral appliances, utility room, downstairs cloak room, integral garage, family bathroom with seperate shower cubicle, ensuite to master and well proportioned rear gardens. Off Road Parking to the front. Part exchange considered. 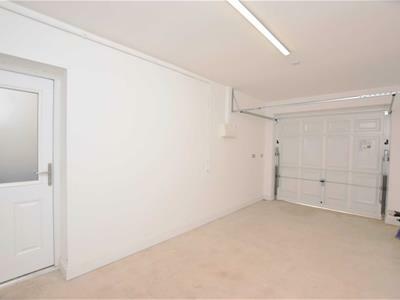 From the road, driveway parking for two cars. Alongside the front garden and through a black UPVC double glazed door to the vestibule. Single radiator with thermostat, one double power point. Oak flooring and oak door to the lounge. UPVC double glazed bay window to the front aspect. 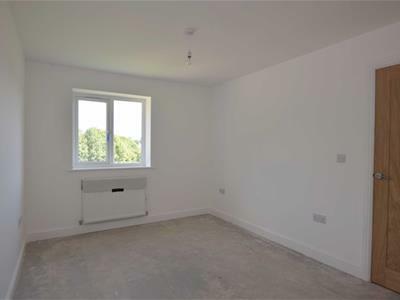 With oak flooring, double radiator with thermostat, three double power points, telephone point and TV aerial. Understairs storage cupboard. Open access to the kitchen/diner. 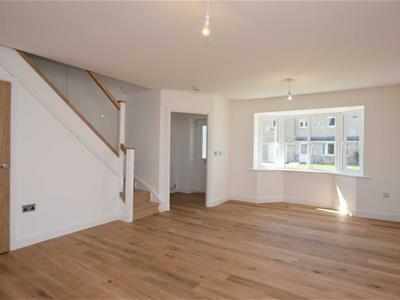 A stunning open plan room with bay window to the front aspect. UPVC double glazed window and french doors to the rear aspect. 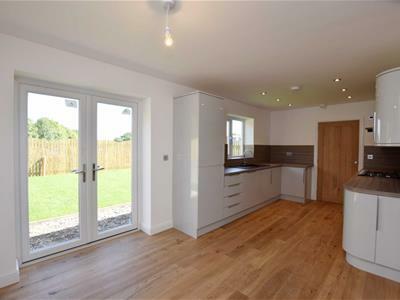 The kitchen has been fitted with a good range of modern and attractive high gloss, light grey base and wall units with brushed steel handles. Double dark grey composite sink unit with mixer tap and inset drainer. 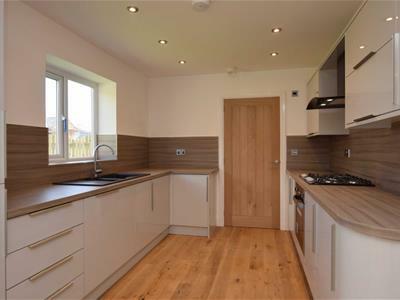 Fitted appliances to be included in the sale - integrated fridge freezer, cooker extractor hood with fan and light, Belling five ring gas hob, single oven with light. Plumbing for full size dishwasher. Double radiator with thermostat, five double and one single power points. 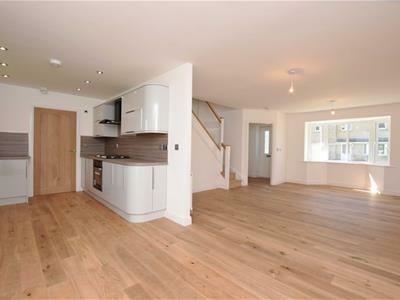 Oak flooring and spot lights to the ceiling. 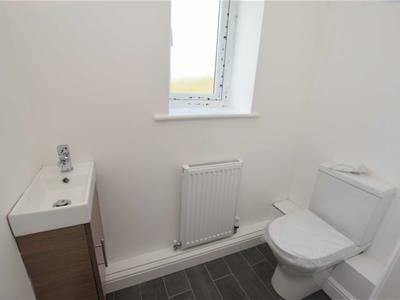 Low level flush WC with tiled floor, small vanity wash basin. Frosted glazed window to the rear, oak door. 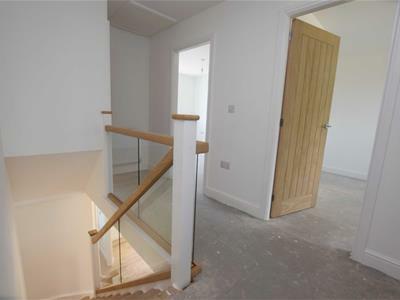 The traditional staircase with oak banister and glass insert leads from the hall and provides access to the first floor landing. Double radiator with thermostat, one double power point, smoke alarm and storage cupboard with shelving. UPVC double glazed window to the front aspect. 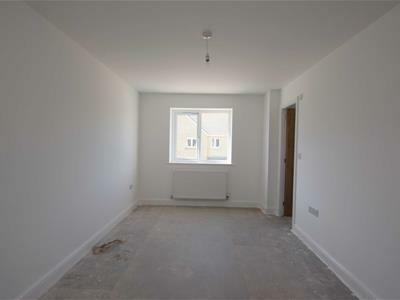 A spacious room which can be fitted with a flooring of your choice. Single radiator with thermostat, four double power points and TV aerial. 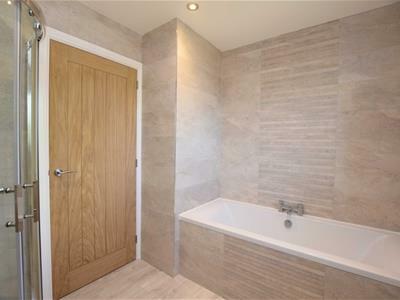 A well proportioned double bedroom with impressive en suite shower room. Oak doors can be fitted with flooring of your choice. UPVC double glazed window to the front aspect. Double radiator with thermostat, three double power points and TV aerial. 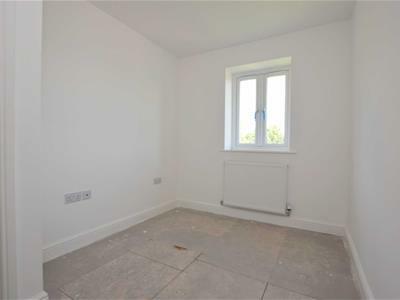 A stylish double room with front aspect view and oak door The room has neutral white pained walls. UPVC double glazed window to the rear aspect over the garden. Oak door. Double radiator with thermostat, three double power points, telephone point and TV aerial. Single radiator with thermostat, three double and one single power points and TV aerial. 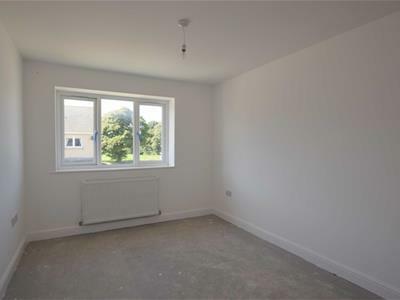 A single room with white painted walls, UPVC double glazed windows with rear view aspect over the garden. Oak door. UPVC double glazed window to the front aspect. Modern contemporary suite in white. 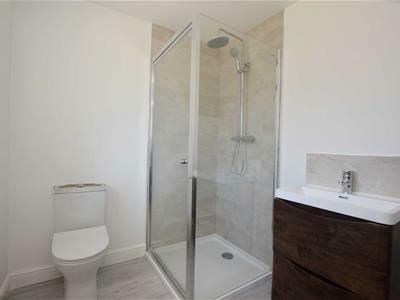 Low level flush WC, vanity wash basin and shower cubicle. Complementary splash back tiling and extractor fan High quality, light grey laminate flooring. UPVC double glazed window to the rear aspect. Modern four piece suite in white. 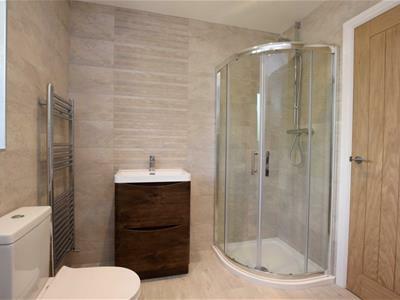 Low level bath with mixer tap and matching side panel, low level flush WC, vanity wash basin and shower cubicle. Complementary full tiling to the walls. Light grey quality laminate flooring. A lawned area runs parallel to a parking area for two cars. There is a pathway taking you round to the side access of the house. A well proportioned garden, ideal for families. 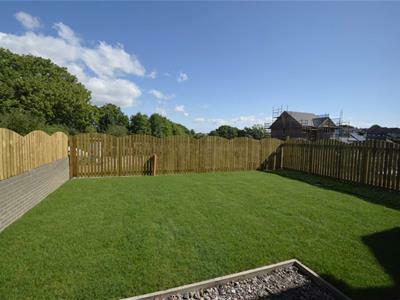 The garden is fully laid to lawn with wooden fencing enclosing the space.